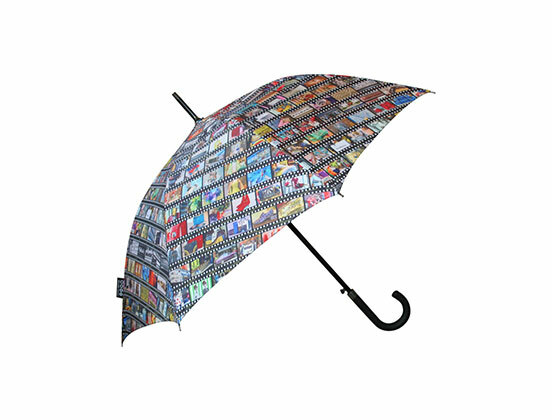 There are many options for your branded printed umbrella. We use and combine a number of different print processes to create your promotional umbrella: dye sublimation, silk-screen, 4-colour process print, transfer print, embroidery and good old fashioned sewing and tailoring. 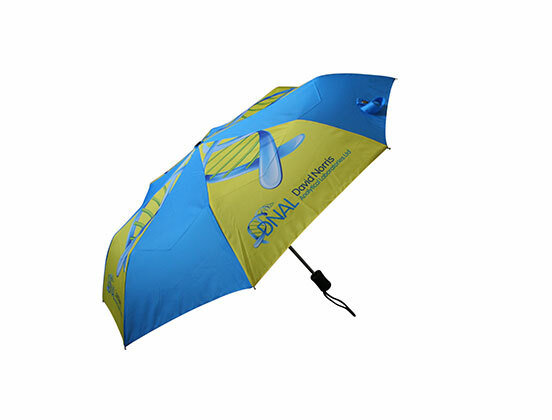 We can create eye-catching promotional printed umbrellas to be brand specific. We will always advise you on the most cost effective methods for your design. Custom design umbrellas can have a variety of special effects including a shadow show through. Bring us a challenge and we will create a unique, stunning promotional umbrella for you. Digitally printed umbrellas allow for panel printing using vibrant colours and patterns. Dye sublimation printing is the application of sublimation inks on to a surface using a heat press to provide the required combination of heat, time and pressure. Embroidered umbrellas can be combined with traditional printing methods and offer a combination of decoration techniques. Our factories use the latest in computer controlled multi-headed embroidery machines to decorate panels, tags, labels and umbrella sleeves. 4-colour print process (fine art printing) can be used to reproduce artwork and gallery pieces where dramatic colour is required. It’s a more expensive print process but allows depth and colour. 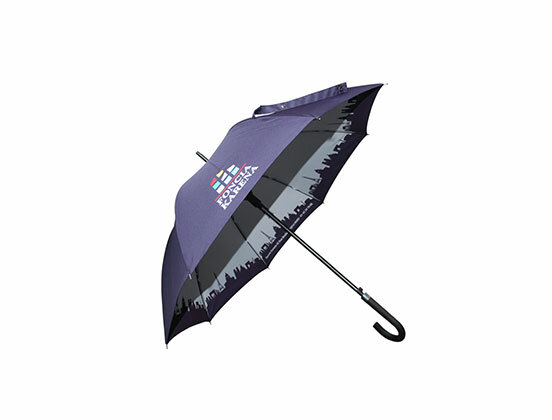 Metallic printing can offer a detailed metallic logo effect on promotional umbrellas. We use real gold in tiny quantities of the base material, giving the print irredesence. Foiling is another method of decoration and the effects are stunning, coming in a variety of colours and textures. Screen printing is a traditional method, highly effective and long-lasting. 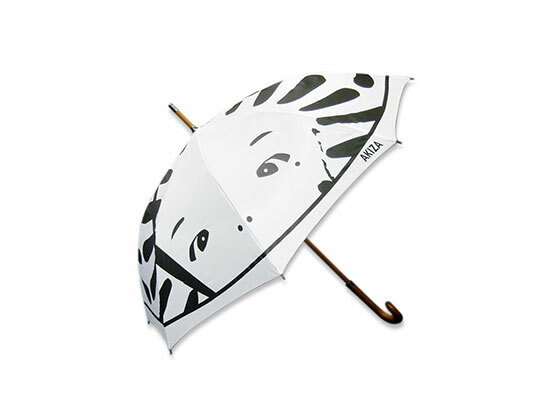 An image is transferred to the umbrella surface by ink, which is pressed through a stencilled ‘silk screen’ and treated with a light-sensitive emulsion. A screen is required for each colour.